Are you planning on installing your dream kitchen this year? There is so much you can do in your kitchen to make it amazing, and so many options. How do you narrow down what you want? Here are some of the most recent trends in kitchens heading into this new year. Follow these and you are sure to have a kitchen to show off for years to come. 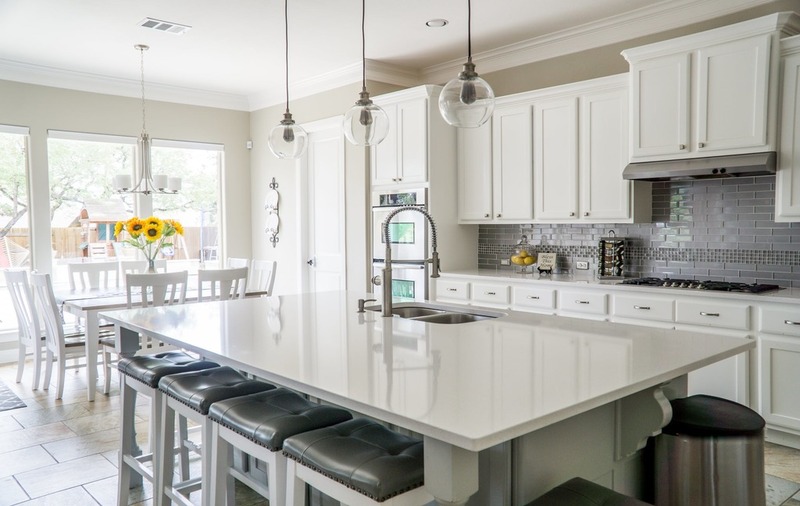 Granite remains the most popular stone countertop option, but Quartz is gaining fast. In fact, if the trends continue, quartz will jump ahead sometime in the next few years. It’s just as strong, more resistant to heat and stains, and is currently more affordable. What’s not to love? Open concepts are getting more and more popular throughout the home. To avoid losing usable space, kitchen islands are immensely popular. They provide a space ot eat, socialize, prepare food, and store things while still enjoying opening up the floor. Stainless steel appliances continue to be a growing trend with homeowners, and it does not seem to be slowing down. Stainless steel appliances give off a modern, but classic look that goes with almost any decor. There are always different color schemes and concepts for appliances, but despite the challenges, stainless steel remains on top. The days of the double sink may be dwindling. The farmhouse sink is getting more popular all the time. This sink is wider and deeper than traditional ones, which provides a lot of space for pots and pans while washing dishes. They are often paired with lighter shaded cabinets and backsplashes. There are very few home renovation projects as exciting as kitchens. Stay with the times and keep on top of the trends with your new kitchen for 2019.